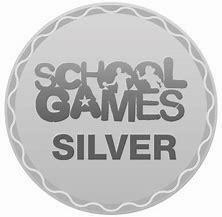 A fantastic result for Team Endowed who represented our school at the annual Herne Bay Sports Hall Athletic Competition and came in 5th place out of 15 schools (some of which are double our size!). They participated in various running, jumping and throwing games and were an incredibly strong team, coming 2nd place in most of their events. Congratulations to our team of children who competed against other schools in a Wake-up and Shake-up dance competition on Wednesday afternoon and danced their way to a well deserved 2nd Place. Many thanks to Miss Luckhurst and her team of upper school children who had choreographed a brilliant routine to 'Gold Dust' by DJ Fresh; you might have been lucky enough to catch them performing it at school drop off on Tuesday morning. Well done to the Basketball team who tool part in the annual interschool tournament at Herne Bay High. They played really well and although they didn't get through the group state because of goal difference, they did win the Shoot Out competition scoring an impressive 12 goals in a minute! Huge Congratulations to Mr Wren who competed in the European Cross Duathlon Championships in Ibiza at half term. He said it was the toughest thing he has ever done but was the 1st GB athlete to finish in his age group and 8th overall and has now qualified for the World Champs! Most of all he was happy he finished! "Thank you to all those that have helped me get here and my family and friends on the beach who were amazing, and to all those of you who kept track. Thank you to Bolton Fitness, Herberts Cycles, Lifestyle Signs and team Buckley Physio; I would not be here without you all." 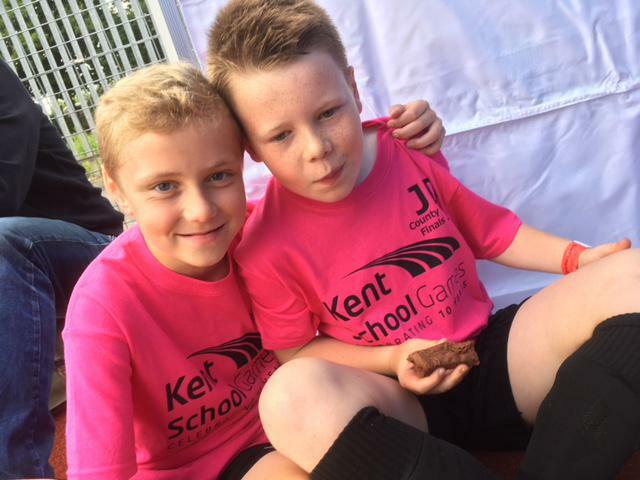 'Team Endowed' Football Squad have had an exciting two weeks of tournaments and local school matches. 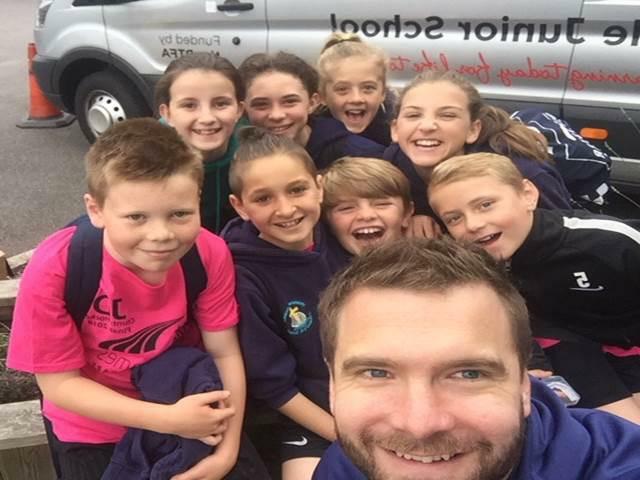 Team Endowed had a great time at The District Football Tournament. The Girls team play extremely well considering this was their first match, they had some very tough matches and enjoyed the experience of playing in a tournament. Well done Boys A team who played brilliantly. A heart stopping semi-final penalty shootout kept them from the Finals - but played a great 3rd and 4th playoff match to come away with a bronze medal. On Wednesday 20 June, the A & B Cricket Teams met at Chestfield Cricket Club at 9.30am. They were all very excited and eager to start playing. The teams were placed in group matches. The A Team Won 2 lost 2 and the B Team Won 1 lost 3. They then had the opportunity to each play a friendly - A team won against Graveny. Overall the A Team came 5th and the B Team came 6th. Well done to our fantastic Hockey Team. 4 Year 6 girls and 4 Year 5 boys, all of which played their first hockey match on March 21st. They won the East Coastal Schools tournament without losing a game and qualified to the Kent Hockey County Finals in Rochester. 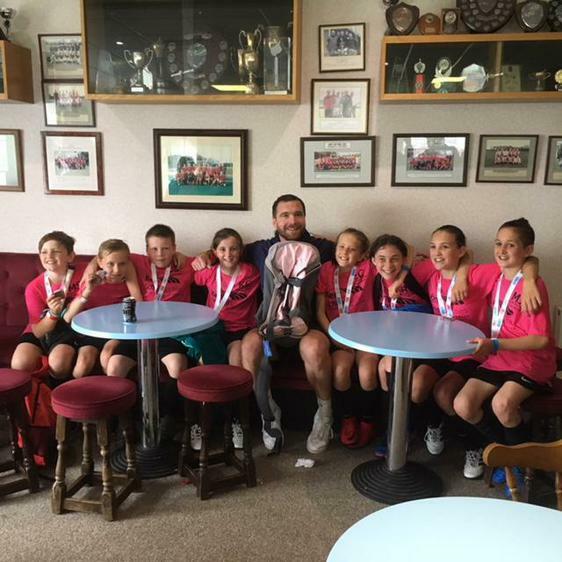 Yesterday at the final they beat 10 other teams to finish 3rd best team in the whole of Kent, losing only two games all day. 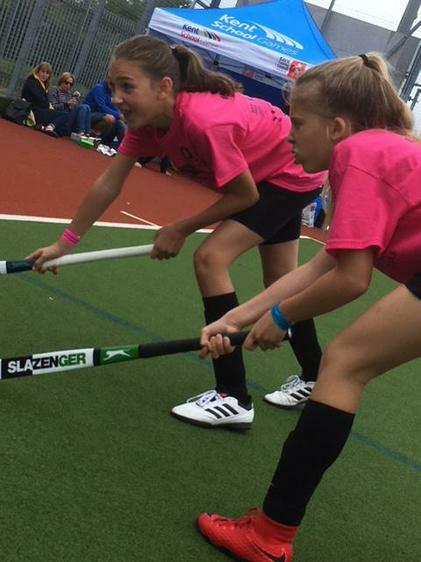 They have been asked to play in the South of England Hockey Champions in two weeks time. Inspiring individuals who swapped inexperience for full-hearts. Thanks for the memories! 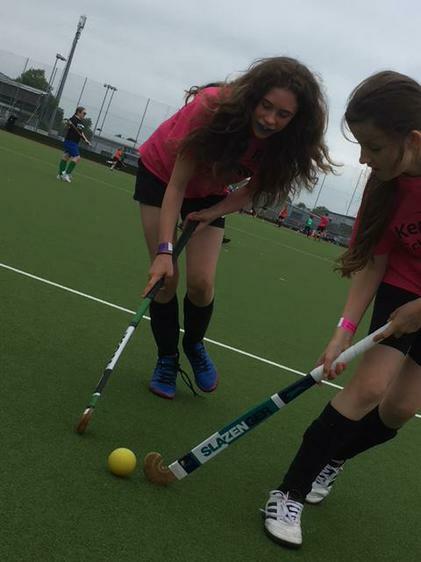 A huge well done to the school Hockey team who won 7-2 in a Davington v Endowed friendly after school on Wednesday. They are an amazing team. The biggest well done to the three year 5 girls playing their first matches for the school. It was a great warm up ready for the Country Finals next week. We were delighted to welcome Double Olympic Champion Lizzy Yarnold OBE into school last Friday. We are sure the children have told you how incredibly inspirational and down-to-earth she was. 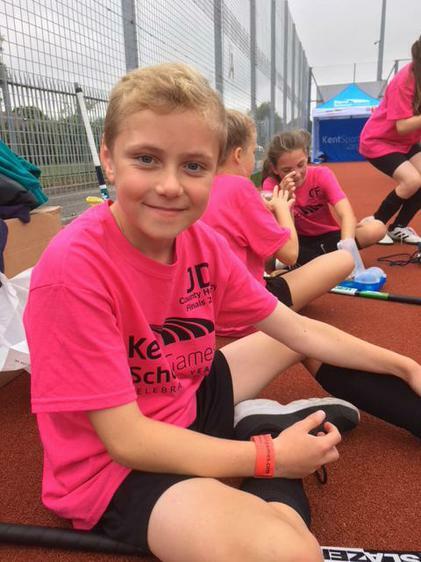 Well done to all the children for their fantastic performances in the Decathlon and we would like to thank Keith at Herbert's Cycles plus Sophie and Andy from Team Buckley Physio for giving up their time and letting us use their equipment all for free. Being placed in the same league our A and B teams faced each other last night. Although they are all friendly squad members, there was still a fiercely competitive edge to the game. The first quarter a tight 2-1 lead for the As. The Bs fought valiantly to counter the speed and fine shooting. The final score a 15-2 victory for the A team. Star players John and Lily B. Well done to all our amazing netballers. Inspired by England's amazing Commonwealth Games gold medal, our netball teams played against Boughton on Wednesday. Again, the A team were amazing cruising to a 21-4 win. Star player Drew shooting 11 of the goals. The B team then came on and worked really well together to secure a 8-1 win. Brilliant contributions from our 3 Y5 players but star player for the B's went to Y6 Lily B, who was also a great captain. Congratulations to our 'A Team' netballers who played their first match against Hernhill on Thursday night, cruising to a convincing 6-0 victory. Superb play by all 7 team members but in particular Zane and Lyla as Star Players. Next match will be Thursday 23 March against St Mary of Charity. 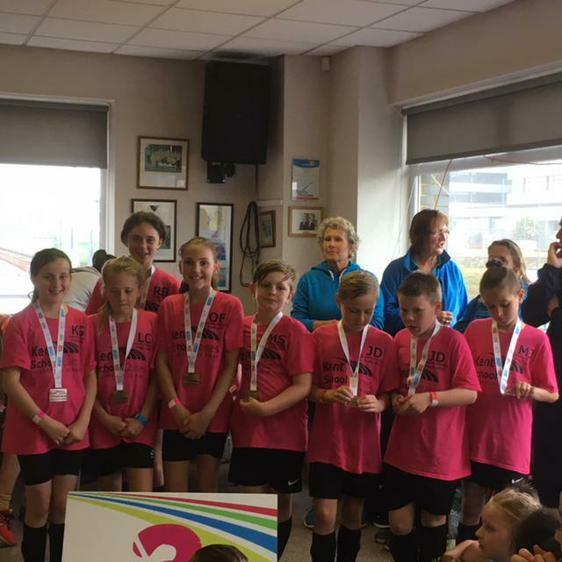 Huge Congratulations to our 'Endowed' Hockey Team who won the Quicksticks Hockey Tournament organised by the Sports Game Coastal Partnership. The children had been practising in their lunch times and were very excited to put their skills into play. 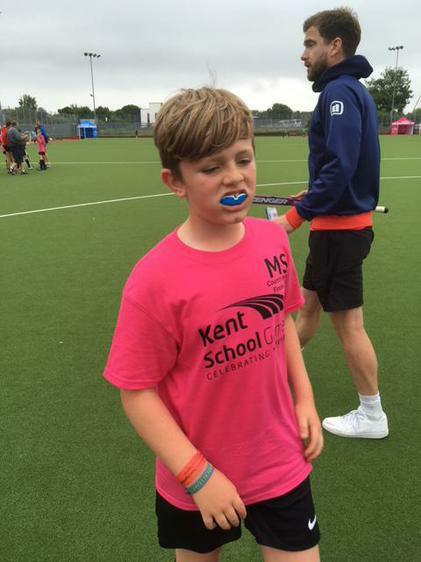 "On Wednesday a mixture of Y5/6 children travelled to Polo Farm in Canterbury for the Quicksticks Hockey Tournament. We won our first game against a very tough Herne Juniors team. Our second game however resulted in a draw against Hampton. Having beaten Davington, we won our group. 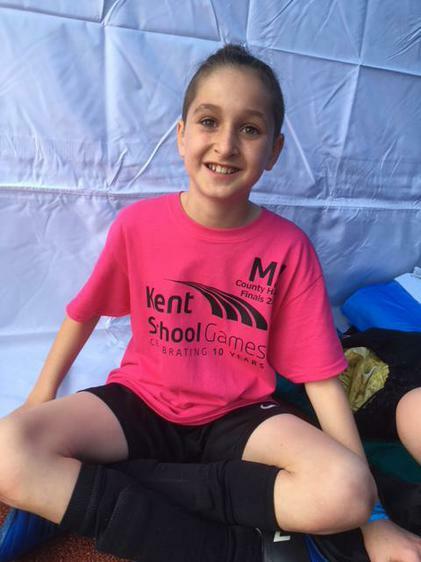 We then won our quarter-finals 5-0 against Herne Bay Juniors and semi-finals against St Mary's 3-0. In the final we faced Herne Juniors in a repeat of the first game. The team defended heroically and scored the break away goal to win the tournament. We now look forward to the county finals in Chatham in June." 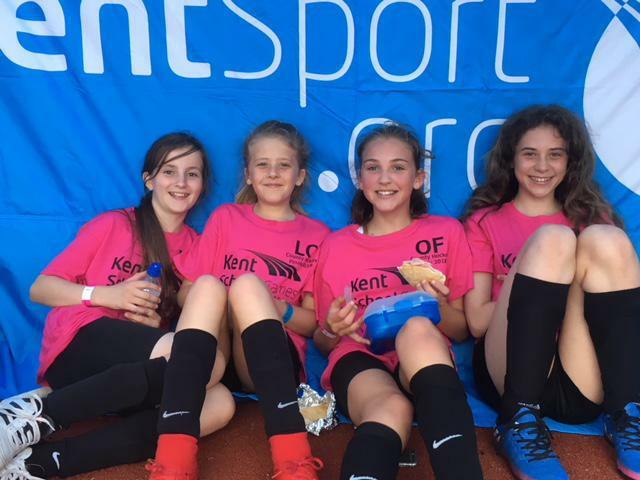 Well done to our Girls football team who had the amazing opportunity to compete in the Premier League Primary Star Football Competition at the University of Kent. Right from kick off the girls played with amazing confidence and comfortably won six group matches consecutively and succeeded in winning their semi-final 1-0 to gain their place in the final against Upton, who proved a disciplined and relentless team. The girls dug in deep and with a last minute shot hitting the post just before the final whistle the match ended in a nail-biting 0-0. 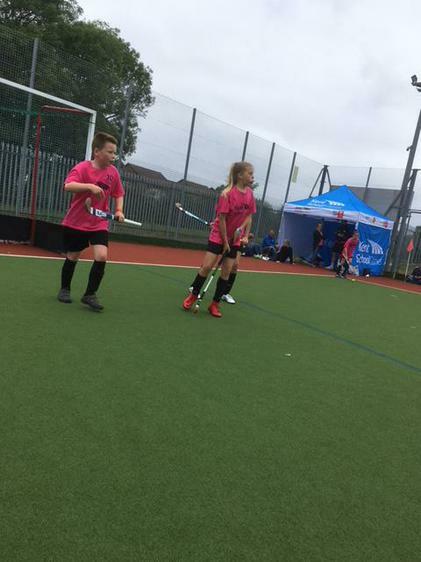 In extra time a well organised Upton proved too strong and unfortunately scored two great goals earning them a place to play at the regional finals at Leicester City FC. Well done to our Athletics team who competed against 15 schools and came a brilliant 5th place. They smashed the track events with great results and jumped, hopped and threw with fantastic effort in the field events.